Wow. Amazing artwork. I am loving the designs in this. Thanks so much for uploading. This'll make both an awesome wallpaper and a great web layout. Props to you. Excellent scan. I love it. Thnks 4 sharing this. thanks! 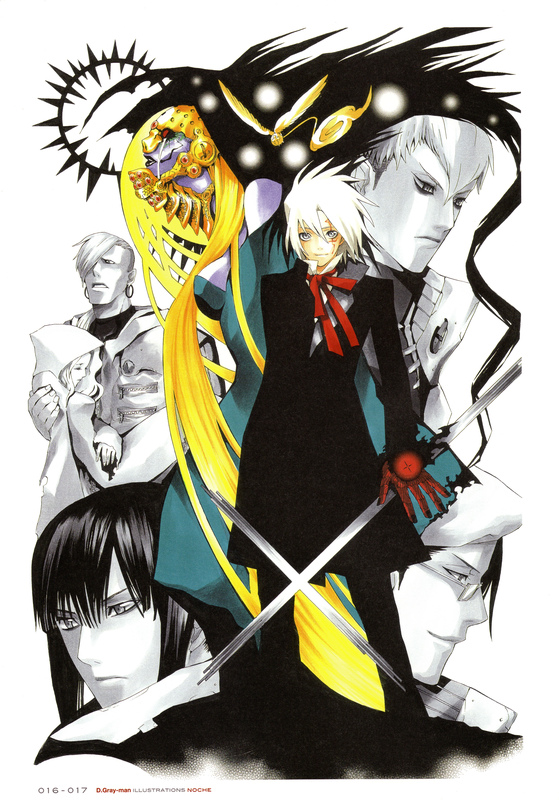 D Gray-man is one of may favourite mangas! The white-haired guy in the middle is really cute! waaa niccee ty riku-chan for sharing link and pic! it's really sweet site! I LUV d.gray man soo superr awesome! TY! thank you for sharing such a great scan!